Detailing the physical features, habits, territorial reach and other identifying qualities of the Comb-Clawed Spider. The itsy-bitsy Comb-Clawed Spider climbs more than waterspouts as it ventures everywhere around or inside buildings. Comb-Clawed, or Comb-Footed, spiders are the most common type of house spider in North America. They come in a variety of dark colors ranging from brown to almost black. The bulbous abdomen has a mottled pattern on it. Female legs are banded with black and yellowish stripes. Males' legs are mostly orange in color. Females hang brown, papery egg sacs near their resting site and guard them until spiderlings hatch. 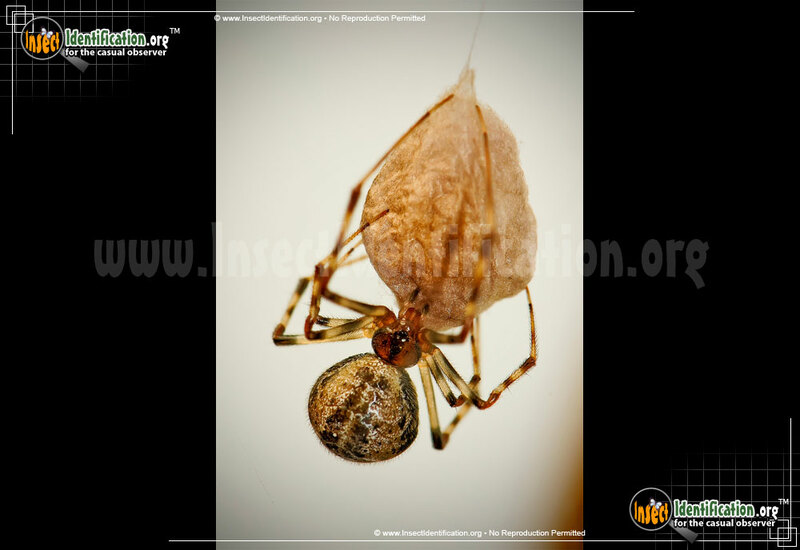 If the egg case falls, the mother will fetch it and reattach it to her web. Comb-Clawed Spiders typically form webs in the corners of buildings like sheds, garages, and homes. These sticky cob webs collect dust as well as insects, and commonly are mimicked in set design for scary movies as well as for Halloween decorations. The Comb-Clawed Spider is active at night, building its web under the cover of dark. It rests on its webs during the day, waiting for a meal. 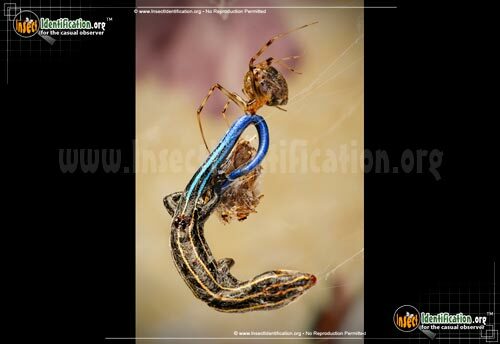 It uses the nearly invisible comb-like hairs on its 'ankles' to fling strands of web at its recently snared prey, further securing the soon-to-be meal. This family of spiders includes species like the black widow, the brown widow and the American house spider, however, this species does not have a toxic venom like its more nefarious widowed cousins. Fans of the fictional hero Spiderman may recognize this spider's body shape since it is the same as the one that bites Peter Parker, imbuing him with spider powers.